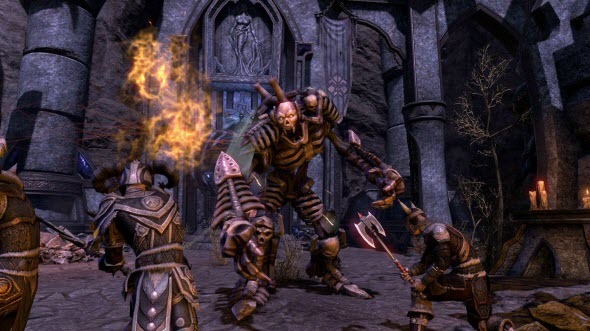 The good news for the fans of the popular online project -The Elder Scrolls Online game. Today the developers of this MMO have released the next The Elder Scrolls Online update, which is destined to fix lots of problems in differents quests and to bring some corrections in the Mac version of the game. Thus, the fresh The Elder Scrolls Online update has fixed the issues for a graphics and an animation-related memory leaks. Also the new patch has resolved the problem with a devour of same corps multiple times by the werewolf. Besides it, a range of bugs, related to the characters, their abilities and to the misions’ initiation, has also been fixed. The corrections have been made in such quests as Auridon, Bangkorai, Coldharbour, Vanus Unleashed, Deshaan, Plague Bringe, Eastmarch and Grahtwood. Some main missions have also got the fixes. They touch the possibility to reset the boss scene if your character has stucked, the killing skeletons will now advance the quest, and your farness from the enemies won’t become the reason to start the mission from the beginning. As it seems to us, the list of fixes for one patch is not bad, and what do you think? Did you like the freshest The Elder Scrolls Online update? We are always glad to see your answers at the bottom of the page.